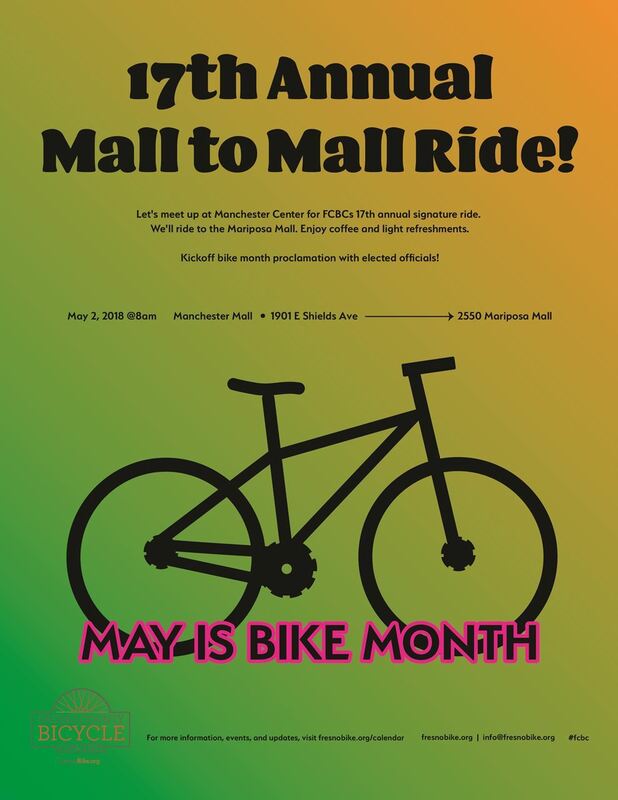 Let's meet up at Manchester Center adjacent to the FAX Transit Center on Blackstone for FCBC's 17th annual signature ride. We'll ride down Blackstone escorted by Fresno's finest to the Mariposa Mall. Enjoy coffee and light refreshments from Tree of Life. 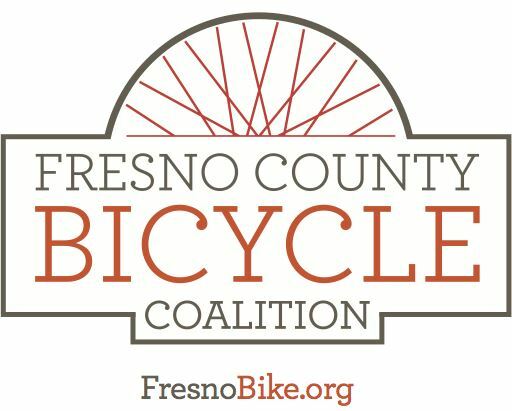 Kickoff bike month proclamation with elected officials at 8 am sharp!